Help Me Pick New Boots! My favorite riding-style boots have finally died. I was lucky. I found them years ago at a thrift store in brand new condition and in my big stomper size 10. 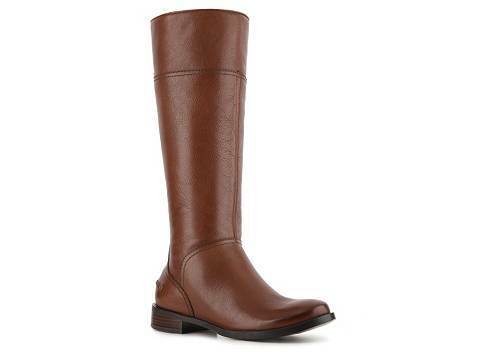 They were cognac, leather, mid/high-calf, low-heeled, Nine West, and classically simple. They were also only $15. Best. Find. Ever. Seriously. I haven’t found a deal that good ever since. Every so often I’d get them re-soled, but then the leather started detaching from the sole… A sad day. I had my shoe guy glue them back together a couple of times, but the hole got bigger over time. They’re still sitting in my closet. I keep thinking maybe I should go to a cobbler and see if they could work some magic. 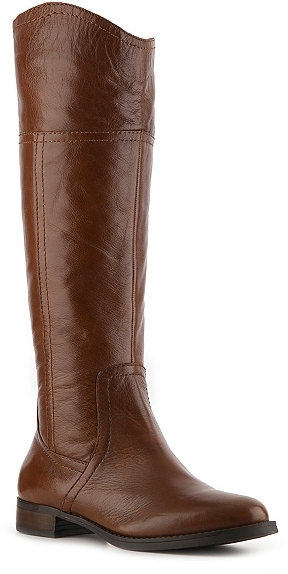 In lieu of cobbler magic, not to be confused with Keebler magic, I’m shopping around for new boots. 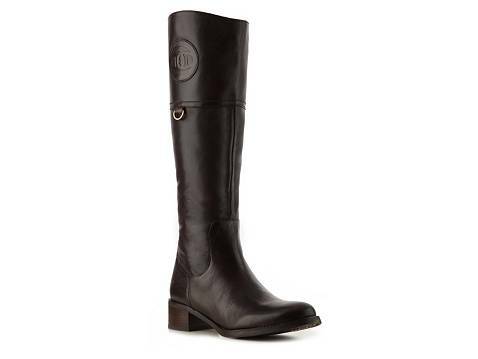 I’ve found 4 pairs on DSW that would be good replacements. I need your votes to help me choose. The following aren’t listed in any particular order. I think I’m really between #1 and #4. 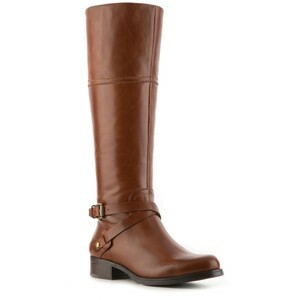 All have side zips, low heels, and are leather. I think you’d call them cognac. Sloped across the top. Fitted in ankles. 1.5″ heel. What do you think? After dragging out my old boots and taking a pic, I’m kind of thinking I should at least talk to the cobbler. 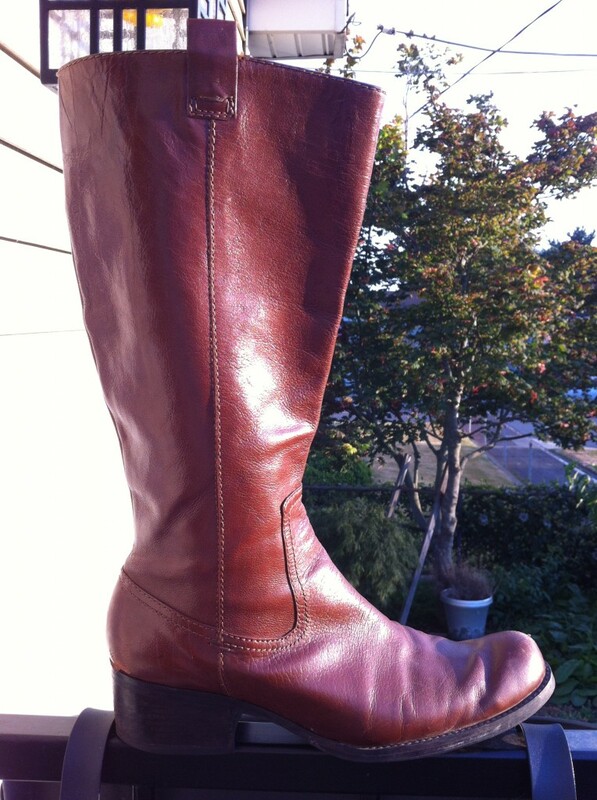 They’re in pretty good shape except for that darned hole and some scuffs; I hate to waste good leather. Anyone have cobbler experience? I’m wondering if it’d be just as pricey as buying a new pair anyway. Oh the options! Although I just researched the cobbler I had in mind and I guess he’s some renowned hiking boot cobbler. I didn’t know there was such a thing. This entry was posted in mumbles+musings on 13 September 2012 by cheryl.